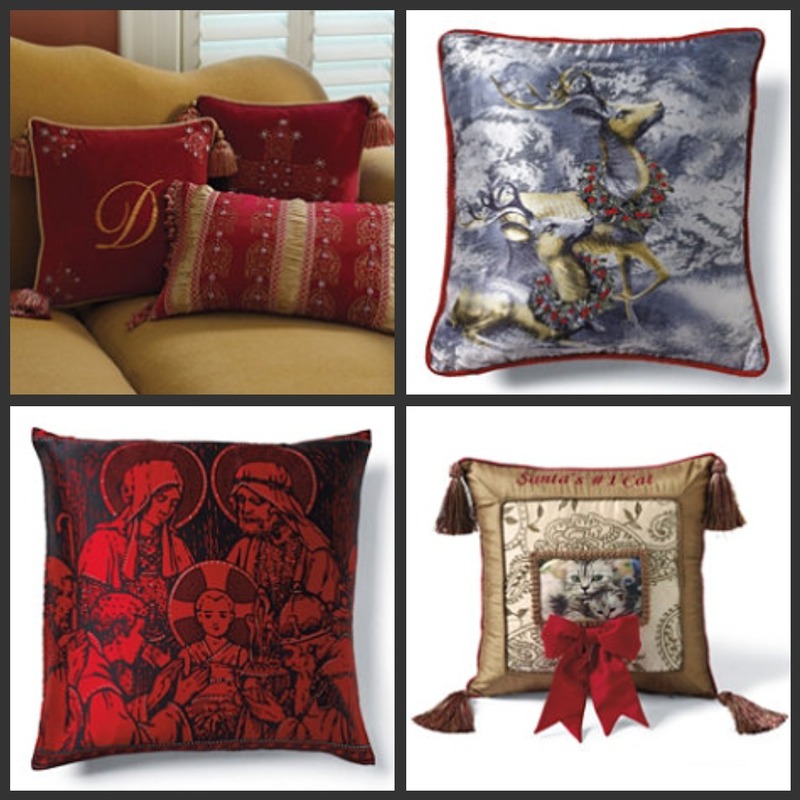 Home Sweet Home: Dress Up Those Pillows For Christmas! Since Christmas is already fast approaching, why not put some twist on your home decors the easy way? Dressing up your pillows with pillow cases having Christmas designs would be a good option. It's easy and fun! 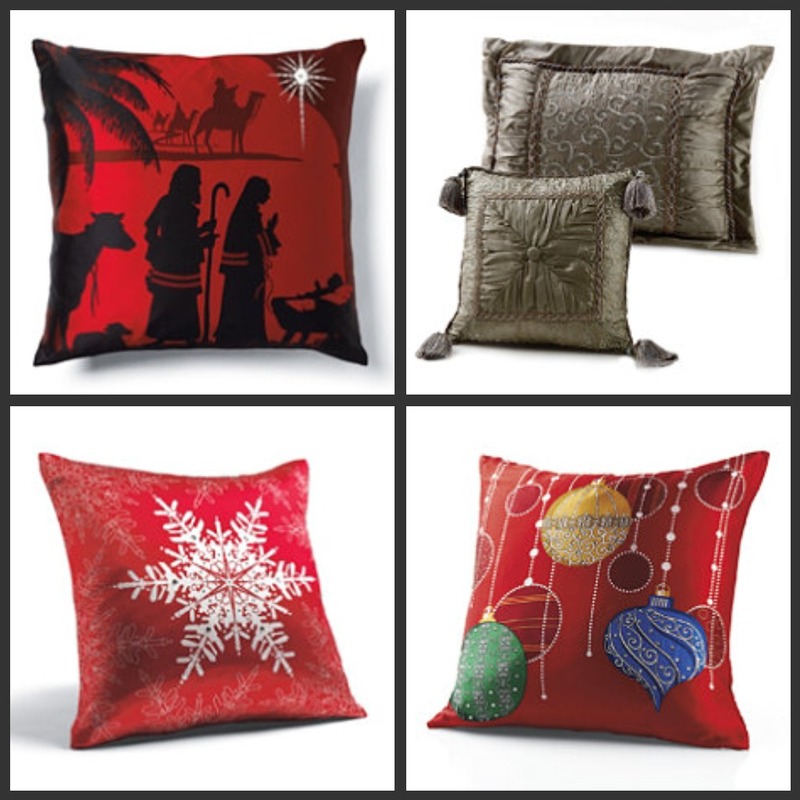 There are so many pillow cases on sale online and on your favorite malls and shops. For a little twist, you could add up some ribbons or do some personal touches by buying some fabric paints and make a design of your own or simply add some names on the ready made pillow cases that you bought. Since these pillow cases will only be used during Christmas season, these will not be easily worn out and can be reuse for the next three years perhaps. I use to do it at home when I was still working in the Philippines and I also buy some matching place mats and hand towels just to have a feel of the Christmas spirit at home. Of course, this will be in addition to the traditional Christmas Tree which we can never do without. I remember the days when I used to do this ate Kriz! And yes, it's easy and fun! I learned about this on one of my TLE classes in high school. Alam mo naman ako...mahilig sa "kakikayan" sa bahay! That's why this home blog was born. wala lang...baka sakaling may makinig sa mga ideas ko (lol). OO naman, for sure this blog will be of huge help who got the same interest like you, Krizz. Andaming makikinig sayo especially so that you know what you're saying, hehe! Swinging by here before leaving off for work. Uyy.....thanks Lainz! I really wanted to talk and share about home decorating and anything about homes. It's my passion kasi. Wala lang...type ko lang at hilig ko lang talaga! (lol). Wow...I'm touched, papasok ka na lang, naalala mo pa ako! Thanks for sharing sis. Actually hindi ako mahilig mag decorate sa bahay but I do appreciate beautiful decors. Ang mahilig ang mama and sister ko. Hehehe. Wala akong talent na pambahay eh. Okay na ang link nito sis. Updated na ang new post sa link list ko. Yepst, I make it a habit to drop by your blogs. I have linked them up to my blogroll long before.